Once you start a fresh blog it is really important that you take some important measures so that your blog can get indexed faster and start getting traffic from search engines, That's not all, There are some more important tasks which needs to be carried out after launching a blog, So that you can hook your new visitors to your blog instead of letting them go somewhere else. So in simple words, This post contains a list of tasks which needs to be performed as soon as you release your new blog. It is kind of a New Blogger Checklist, The List contains some Social Netowrks, Directories, Tools, Analytics etc. where you need to submit your newly created blog. So instead of wasting time here we go. The First thing you should do after releasing a new blog is to submit a sitemap to Google using Google Webmaster Tools. Go to Google Webmaster Tools and Sign in (If you don't have an account then create one), After Signing in submit sitemap. How to Submit a Sitemap to Google using Google Webmaster Tools. This is very important and will ensure fast indexing in Google. Basically a sitemap helps Google bots to crawl your content better and this helps in getting indexed faster and also in getting a High Pagerank. After submitting Sitemap, Your next step will be claiming your website on Alexa. This is important because if a website is not claimed, It may take several weeks for new blogs to get an Alexa rank. That's because Alexa does not have much information for ranking your site, So you should always claim your site on Alexa. Now you've claimed your website on Alexa, The next step is Installing Google Analytics on your blog. Google Analytics is an official tool by Google which helps in tracking visitors, pageviewes, bounces etc. In short Analytics helps you track your traffic and will calculate other blog statistics. Now that you've completed some major tasks which will help you get indexed in search engines etc. Now it's time to work on social media. Social media is very important these days as a big part of Internet users are active on social media. So you should take advantage of Social media for building fans and followers. The First thing is to Create a Facebook Fan Page of your Blog. Facebook is ranked 2 by Alexa and is one of the most used social networks, Creating a fan page on Facebook will benefit you and help you build traffic. Creating a Fan page on Facebook is very simple, All you need is a Facebook Account (If you don't have one then create it first). After Facebook the next step is to create a Twitter Page of your Blog. Twitter is also one of the most used social networks with around 500 million active users generating 340 million tweets daily. So it is really important that you promote your site on twitter to take advantage of its users. Invite your friends to follow you. Invite your Facebook friends to follow you. So now we're done creating three major social network profiles (Facebook, Twitter, Google+) now lets submit your blog to major directories. Technorati is a very popular blog directory and it is very important that you submit you blog to technorati as soon as possible after releasing your blog. Go to Technorati and create a new account, Add all your blog details in it. After creating account, Click on Add a Site/Blog and follow the instructions (Add Keywords, Description etc). Complete the verification and you're done. Now you'll have to wait for their email (it may take 24-72 hours for Technorati to add your site). Once they add your site you'll be notified by email. After doing all of the above things, Now lets build your presence online. Go to Google and search for blogs which are similar to your niche (Topic). Read their articles and learn from them and Don't forget to leave a comment. Never comment useless things, Never Spam other blogs. Always leave a good comment expressing your views about the article, Try Asking questions or Replying on behalf of author (if author has not replied to any comment). This will help you make relationships with other bloggers and people. Once you've written around 40-50 Quality Articles on your blog, Now it's time to steal readers from other blogs by Guest Posting. Many Blogs nowadays allow guest posts, So what you have to do is to write around 10 guest posts on different blogs (Try to guest post on blogs with High Pagerank, Alexa Rank, Traffic etc). As Technology is rising more and more people use gadgets like Smartphones, Tablets etc for browsing internet, So it is really important that your website is mobile friendly, If it's not then you are going to lose a big traffic as websites may take long to load. A mobile friendly website loads instantly and is easy to navigate on smartphones. To make your website mobile friendly check out my tutorial: How to Create a Custom Mobile version of a Blog / Website. How to Start a Successful Blog in 10 Steps. How to Build Strong Relationships with Other Bloggers. 10 Common Blogging Mistakes to Avoid When Beginning. 5 Important Search Engine Optimization Tips. 10 Ways of Getting High Quality Back Links. 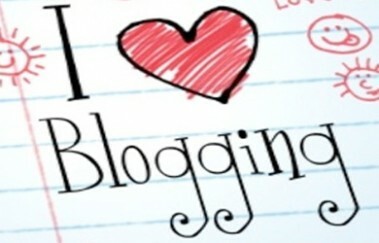 List of Best Free Blogging Directories for Submitting Your Blog. 10 Killer tips to Increase Your Websites Alexa Rank. 10 Simple ways to Increase Your Blog Page Rank. How to Get Google AdSense Approval Fast. These were some Important tasks for all new bloggers, Make sure that you've completed all of them for better rankings, SEO etc. I hope this article was helpful and if you liked it then please consider sharing it and also leave a comment below.